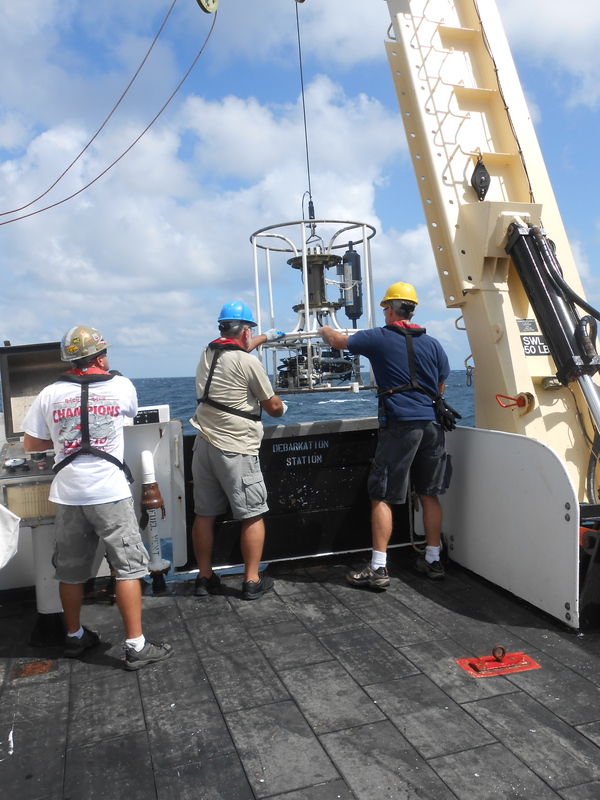 After we set the line, the CTD (Conductivity, Temperature, Depth) is deployed at each station. This instrument provides information a complete profile of the physical characteristics of the water column, including salinity, temperature and dissolved oxygen. The CTD is deployed from the bow of the boat using a winch. When it is first lowered in the water it calibrates at the surface for three minutes. After it is calibrated it is lowered into the water until it reaches the bottom. 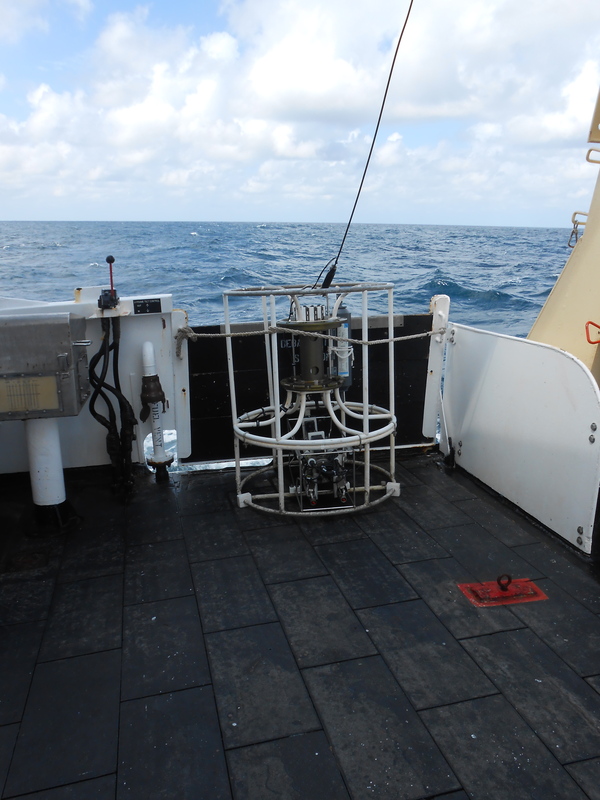 The CTD records data very quickly and provides valuable information about the station. Conductivity is used to measure the salinity, the amount of salt dissolved in the water. The CTD also measures the dissolved oxygen in the water. Dissolved oxygen is an important reading as it reveals how much oxygen is available in that area. The amount of oxygen available in the water indicates the amount of life this station could be capable of supporting. Dissolved oxygen is affected by the temperature and salinity in an area. Higher salinity and temperature result in lower dissolved oxygen levels. Areas of very low dissolved oxygen, called hypoxia, result in dead zones. 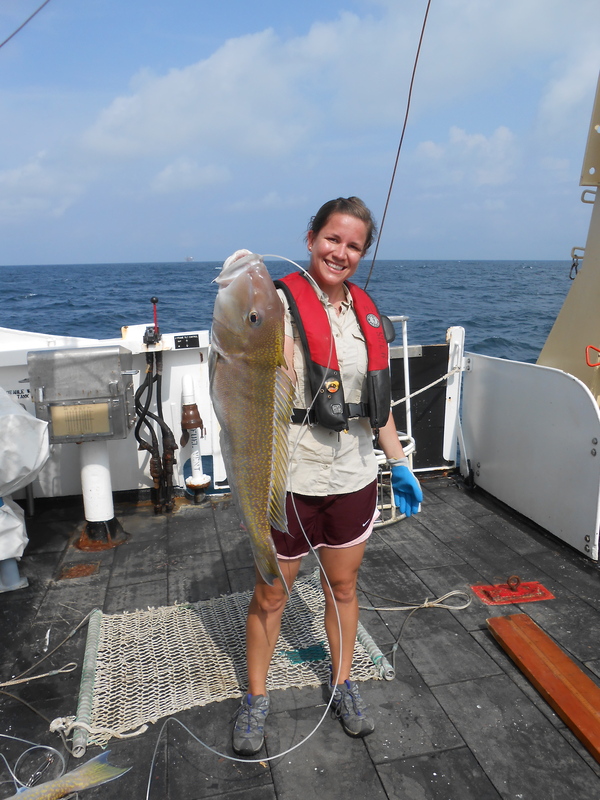 NOAA monitors hypoxia in the Gulf of Mexico using data from CTDs. 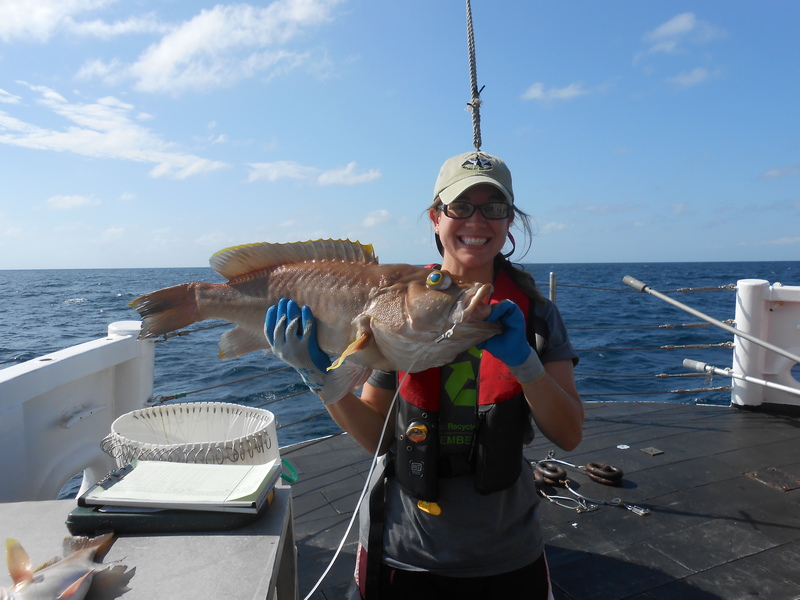 The otoliths and gonads are taken from all of the commercially and recreationally important fish like Snapper, Grouper and Tilefish. Otoliths are used to age fish. Aging fish provides information on the population dynamics for those species. The otoliths are “ear bones” of the fish and are located in their heads. 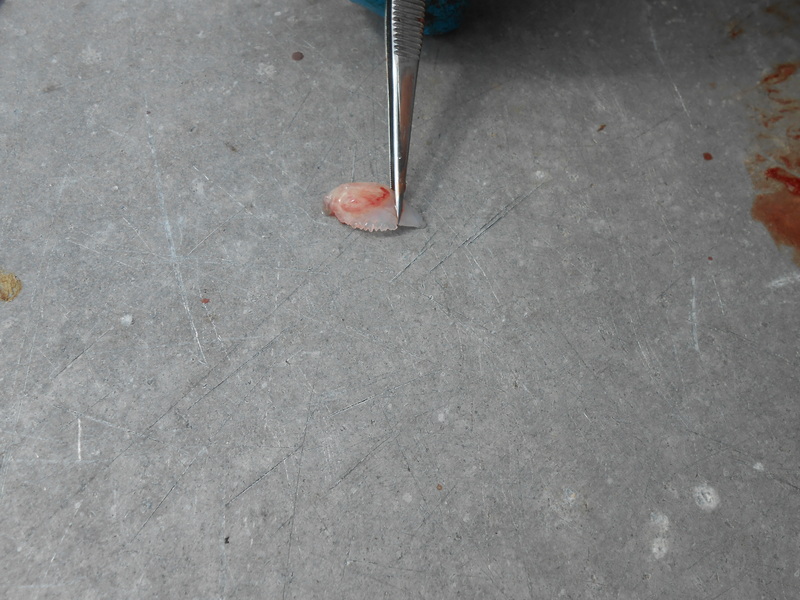 It takes careful work with a knife and tweezers to remove the otoliths. Once the otoliths are removed, they are placed in small envelopes to be examined in the lab in Pascagoula, MS. Otoliths have rings similar to growth rings in trees that have to be carefully counted under a microscope to determine the age of the fish. 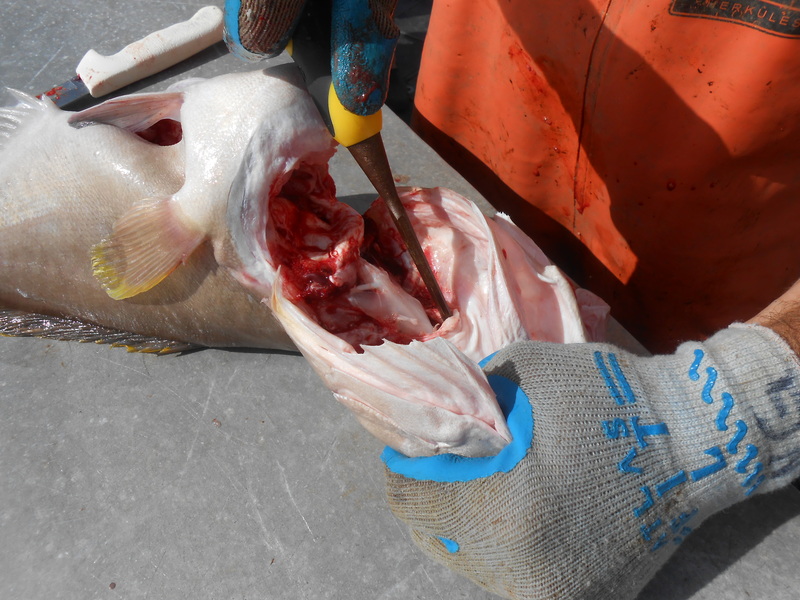 The gonads (ovaries or testes) are removed and the reproductive stage of the fish is determined. The weights of the gonads are also recorded. Small samples of the gonads are taken in order for the histology to be examined in the lab. Examining the gonads closely will confirm the reproductive stage of the fish. Gathering information about the reproductive stage of the fish also helps with understanding the population dynamics of a species and aids in management decisions. Taking the otoliths out of the fish was harder than I anticipated, especially on the larger fish. It takes some muscle to get through the bone! We have had a few very busy haul backs today. One haul back had over 50 sharks! 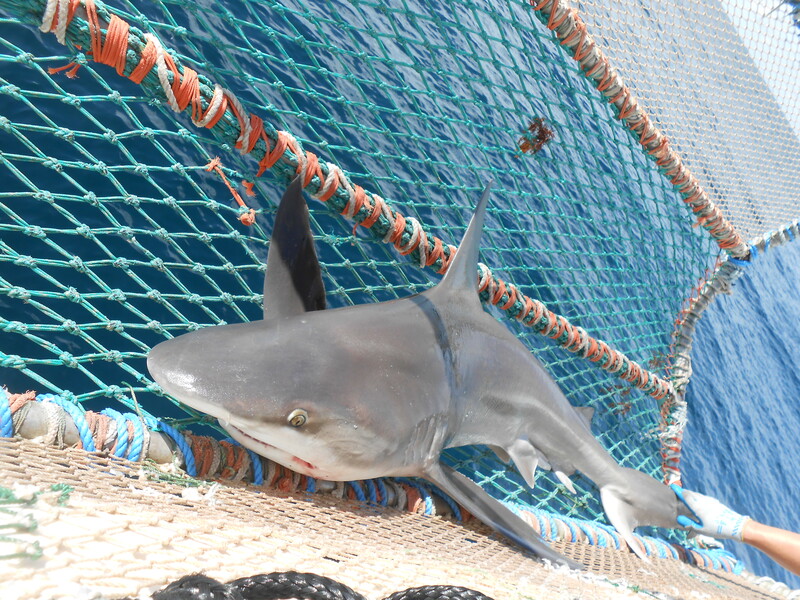 My favorite shark today was a Bull Shark. We caught two today but were only able to get one into the cradle long enough to get measurements on it. We tagged it and then watched her swim away! I can’t believe we are halfway through my second week. Time is flying by! I can’t wait to see what is on the line tomorrow! Yellowedge Grouper are protogynous hermaphrodites. They start their lives as females and transform into males as they age. 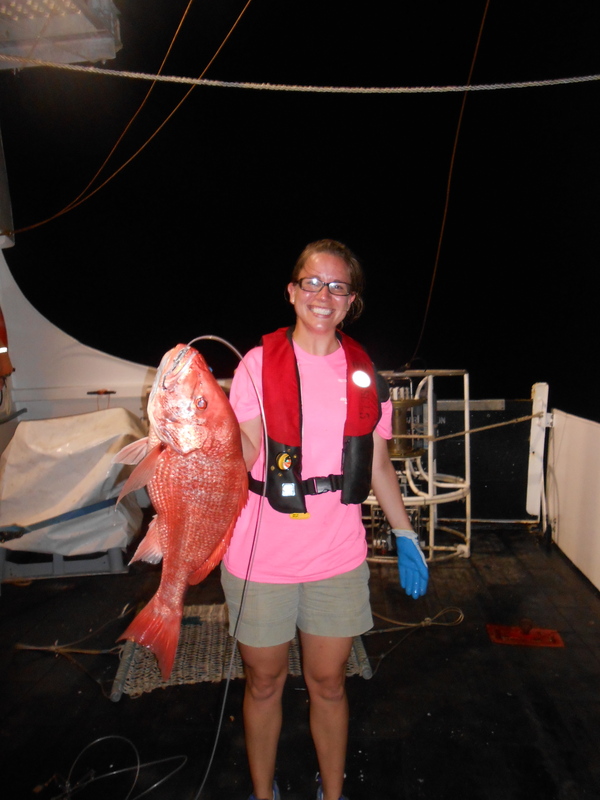 Yellowedge Grouper are the only species of grouper we have caught. Here are a few of the animals we’ve seen so far! 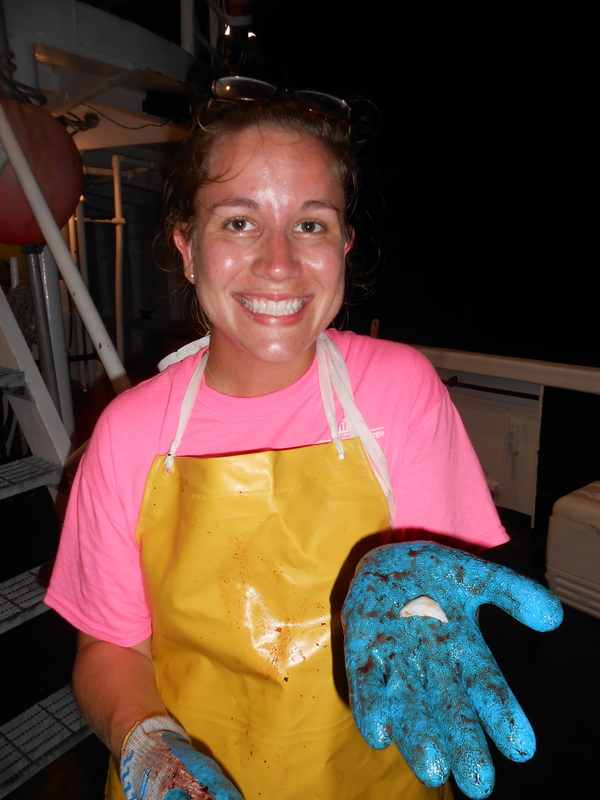 This entry was posted in 2013, Louise Todd, NOAA Fisheries Service, NOAA Teacher at Sea and tagged CTD, CTD Device, Gulf of Mexico, National Oceanic Atmospheric Administration, Oregon, otolith, sea surface temperature, temperature. Bookmark the permalink.